This exhibition takes a broad and original look at the ‘medical record’ of Jerusalem, examining the human struggle for a healthy life in the unique context of the holy city. 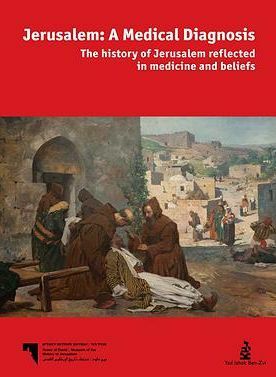 A medical diagnosis shows how the holiness and status of Jerusalem brought streams of pilgrims, priests, scholars and travellers to its gates. Many of them needed medical services while others provided medical relief. It focuses on the remedies that were invented along with wonder drugs and potions. Pieces on loan: Historic pharmacy jars from the Franciscan Jerusalem pharmacy, and liturgical instruments to serve plague sufferers, as well as archive material (reproductions).